If you have an e-commerce business then you will know that order fulfillment tends to be a major area of your business. You need to be able to select a good fulfillment center that can help you out instead of giving you problems. Continue reading on to find out what to consider when selecting an e-commerce fulfillment business. You can discuss these aims with the fulfillment center that you visit so as to figure out how long it will take to implement solutions which will enhance your goals along with the business. Despite the fact that e-commerce retailers usually get regarded as being the same, there is much diversity present in the kinds of products that are sold via the internet along with their fulfillment requirements. You can ask the e-commerce fulfillment company concerning the particular industry verticals which they actually pick, pack plus ship. For those who have some specialized items or require custom fulfillment, find providers who have clients that require similar procedures like this. There are some e-commerce fulfillment companies that tend to be specialized in wonderful robotics as well as equipment made to handle certain kinds of products. You, therefore, need to ask the correct questions which will aid you in figuring out the strengths along with weaknesses of the fulfillment center. Look at the company’s mission as this will usually give you ideas concerning whether a future business partnership will be fruitful or not. When selecting a fulfillment company, be concerned about developing a partnership which is long-term and will benefit all parties concerned. A fulfillment company which focuses on principles like continuous advancement, maximizing the customer satisfaction, as well as professionalism maybe one to consider. How fast did you get a good response from them? Was the concerned representative knowledgeable when answering questions you had? Was the fulfillment provider interested in spending time knowing the business you have? Remember that open as well as, proactive communication tends to be beneficial. Client support that is dedicated needs to present. You need to keep in mind that the task of finding a fulfillment company to help you out is no easy task. You need to spend time doing this so that you can select a good company to work with. BlueEX is a leading e-commerce logistics company in Pakistan, with network coverage of over 400 cities and towns. 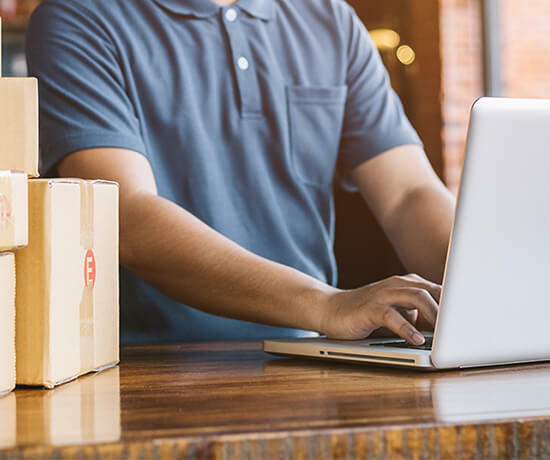 We maintain a high level of service for e-commerce businesses of all sizes by offering the fastest and most technologically efficient fulfillment services. If you’re looking for a smarter order fulfillment, warehousing, or shipping solution, contact us right now.